Don’t like going to the dentist???? Neither did my Dad. The very smell of the office caused him nausea and to vomit. This lead him to years, decades of not receiving regular dental care. When I stepped into the role of care giver, that changed. Unfortunately, it was too little too late. As we approach March and the 5th year of his passing I continue to look for answers as to where it all started to go wrong. 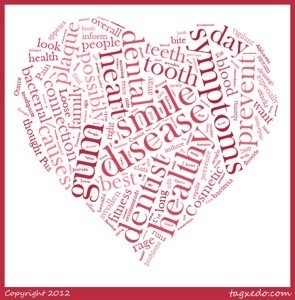 Dental health and heart disease…………. Be informed.